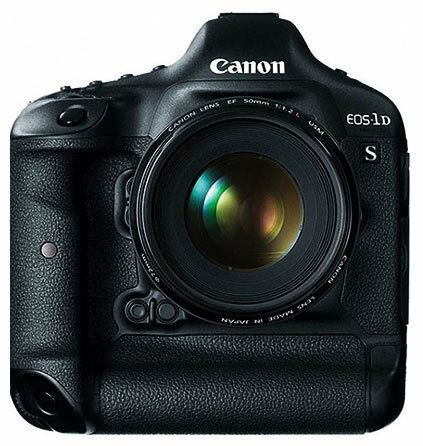 The upcoming high MP DSLR camera from Canon will probably be called EOS-1S and is expected to be priced around $9,000. The Canon 7D Mk2 is rumored to be announced in January at the CP+ show in Japan (beginning of February, 2013) or during the PMA/CES show (early January 2013). When we first heard the announcement about the EOS 650D and its new sensor, we hoped to see a gain in image quality sensor performance, but the Canon EOS 650D’s sensor scores have left our hopes high and dry. Clearly this 18 Mpix sensor’s only new feature is its hybridized autofocus (which includes the specialization of certain photosites). 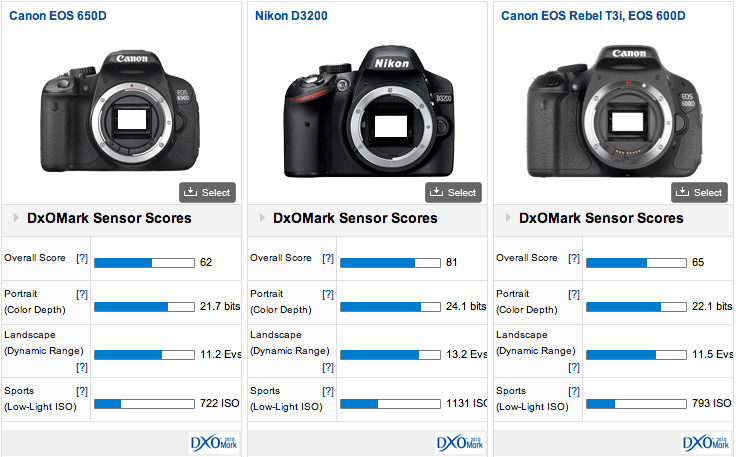 Canon is outclassed by both Sony in terms of sensor technology, particularly where color depth and dynamic range are concerned. So the Canon EOS 650D’s strong points must be found elsewhere. Content with the image quality of the EOS 550D/600D line — sufficient for the majority of amateur photographers — Canon chose to focus its efforts on designing a camera with such ergonomic improvements as a capacitated touchscreen display and an innovative, quick, quiet, and powerful hybridized autofocus. In video mode, the autofocus operates continuously and takes full advantage of the emerging new line of lenses equipped with Stepping Motor (STM) technology.